China is one of the most flower loving countries in the world. Its five-thousand-year-long history is infused with floral customs. Flowers are also a popular theme in traditional Chinese art and poetry. Most ancient paintings center around national favorites like plum blossoms, peonies, chrysanthemum, azaleas, and orchids. Although China doesn’t have one single National Flower, the pretty blooming plants have a privileged position in Chinese culture each carrying its own symbolism. Here’s your guide to the most popular flower meanings in China. There are many important flower gift giving traditions in China. Each holiday has a meaning to remember when sending bouquets to China for both family and business colleagues. Many Chinese people care about symbolism, and giving the wrong flower either to a new acquaintance or close friend might cause some awkwardness in relationships. – Vibrant red flowers like roses or pomegranate blooms symbolize luck, and are traditional birthday or graduation gifts. – Pure white lilies represent long-lasting love and a special bond, mailing them a popular wedding flower in China. – Chrysanthemums and Lotus have long-standing religious symbolism and mean purity and piety in Buddhist tradition. This makes them a popular choice on romantic occasions. – A symbol of fertility, orchids will are a great gift for an expecting mother or newlyweds as a hope for a new addition to the family. – Narcissus empowers the recipient with hidden talents and is given in hopes for a job promotion and good luck in business. Given the importance of flowers in Chinese culture let’s take a closer look at some of the most popular traditional blooms. 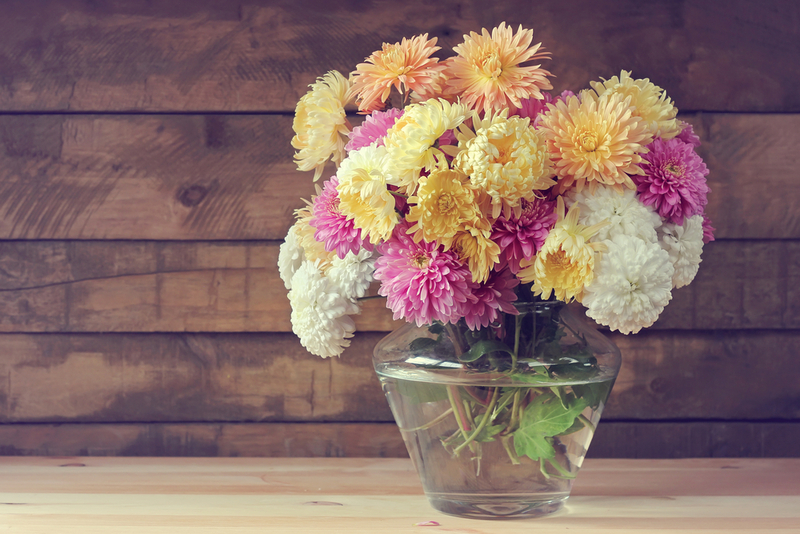 Native to China, Chrysanthemums are one of the most common and beloved flowers in Chinese culture. Blooming in late fall, they are a popular symbol for the season. The importance of this fall bloom is reflected in the fact that the ninth month in the traditional calendar was named the ‘chrysanthemum month’. In traditional Chinese culture, chrysanthemums represent nobility and elegance and were included in many paintings by famous artists. “Chrysanthemum” in Chinese sound similar to the word that means “endure” and “long time”. 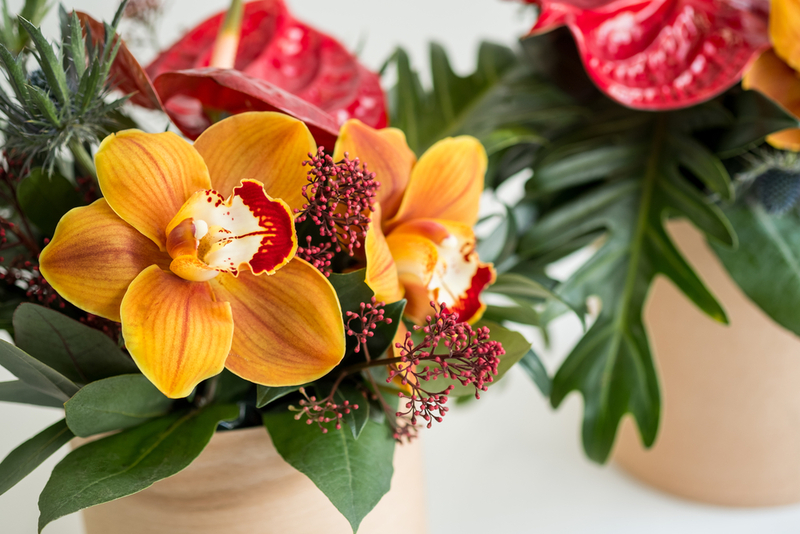 Therefore, these pretty fall blooms came to symbolize longevity and are often given as a retirement gift to wish the recipient peace and long life. Just like with peonies, Chinese people couldn’t ignore one of their favorite flowers and organized a special festival dedicated to the bloom. Started in the early 80s, The Kaifeng Chrysanthemum festival lasts for the whole month of October. During the festival, over a thousand of different chrysanthemum varieties are displayed, attracting both local and international visitors from different parts of the world. Often referred to as the “Kingdom of Bamboo,” China is famous not only for giant pandas, but also for their staple food, bamboo. The bamboo culture has been rooted in the minds of Chinese people for as long as they can remember themselves. The history of planting and using bamboo in China can be traced back thousands of years. It has become part of all aspects of people’s lives, from food and clothing to housing to transportation. Bamboo is a symbol of traditional Chinese values representing harmony between nature and people. The bamboo plant can stand for many different things but it generally has a very positive and encouraging symbolism. Its deep roots imply determination. It’s straight upward stem represents honor. Its interior stands for humility while it’s clean exterior means virtue. When given as a gift to China, bamboo heralds good luck and success. Elegant bamboo plants displayed in stylish vases are often used as decor in Chinese homes and offices for attracting good fortune. The plum blossom has been an important symbol in Chinese culture for over two thousand years. First, it was used only for food. Later, ladies at court started using its flowers for decoration, and it became popular in gardens. The winter flower that blooms in the midst of snow, the plum blossom represents endurance. It celebrates vitality, revival and hardiness. The plum reminds people that spring will always come back. 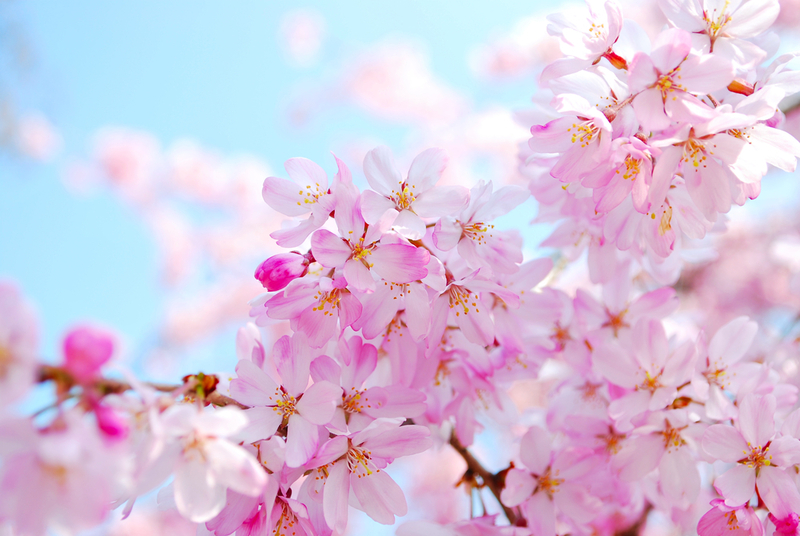 Just like the plum blossom’s pretty blooms and delicate smell come from bitterness and cold, one’s own strength comes from experience and character is tempered through hardship. If your friend or family member is going through tough time at work, experiencing a personal crises or simply needs some support, plum blossoms make a wonderful gift that will help them find inner strength and motivation. An ancient symbol of virtue, orchids also represent friendship and nobility in Chinese culture. A famous Chinese philosopher, Confucius, noted the orchids’ scent is like virtuous people who go unnoticed unless one goes near them. Echoing this thought, many Chinese artists used orchids as the symbol of virtue in their art. People in China particularly love orchid for its delicate feminine fragrance. Linked with female beauty, they stand for modesty and elegance. This explains why orchid or “lan” in Chinese has been so popular as a woman’s name. The orchid also represents love and beauty, and can be a symbol of a married couple. When given as an anniversary or wedding gift to China it brings the couple fortune and stands for unity. Beautiful spring blooms, azaleas have been a long-standing symbol of dedication in China for thousands of years. According to a legend, an ancient emperor could not forget his unhappy love and died of grief. After his death, he turned into a bird who wouldn’t stop singing about his sorrow all day long. Eventually blood came out of his mouth instead of the song and painted the flowers growing on the hill red. These were azaleas. Despite the gloomy legend, azalea flowers are quite popular among couples who give each other these pretty spring blooms for different romantic occasions including anniversaries and Valentine’s Day in China. In March when azaleas start blooming, hills and mountains in China turn into a magnificent kaleidoscope of vibrant colors: reds, pinks, yellows, purples and whites. Azalea’s colorful blooms represent happiness and prosperity, so a stunning view of blooming azaleas can provide several weeks of joy. The flowers can also symbolize female beauty in paintings and other works of art. A particular fondness for lotus flowers in China goes back to ancient times with its symbolism rooted in Buddhism. The pure white lotus blossoms that grow unsullied from dirty swamps are an important symbol of purity and honor in Chinese culture. The wheel-like center of the flower reminds many people of the wheel of life. 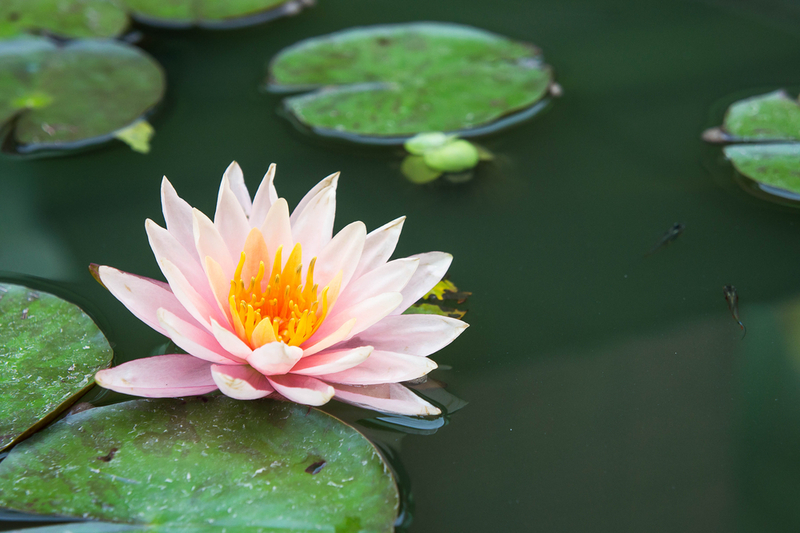 In ancient Chinese literature, the lotus is often connected with noble and pure women. When included in extravagant romantic arrangements and bridal bouquets to China it represents honor and long life. But it’s not only the lotus’ striking beauty and important symbolism that are valuable in Chinese culture. Traditional Chinese cuisine and medicine have used lotus flowers, leaves, seeds and roots for thousands of years. All of its parts have their own name and usage. The plant’s fruits and leaves are edible, and the seeds are useful in medicine. There’s no national flower in China per se, but the peony is definitely the national favorite. 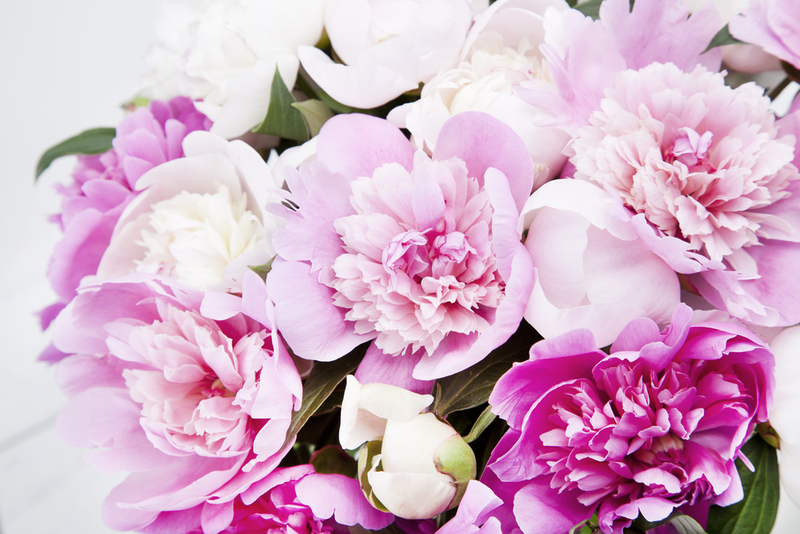 Peonies have a similar meaning to roses in Western culture. As such, they’re very popular for romantic occasions. It’s easy to see why! Peonies are beautiful; they come in a variety of colors suitable for different occasions; and they symbolize prosperity. The stunning summer bloom also promise happiness in marriage which make peony a popular wedding flower in China and around the world. To truly impress your recipient, send a bouquet of red peonies. In China, people consider red peonies the most valuable and desirable. However, white peonies symbolize purity, and a peony bouquet can mean you think a young woman is smart and beautiful. Giving your significant other a bunch of snow-white peony bouquet will emphasize her virtues and demonstrate your affection. Chinese people love these lush blooms so much they organized a whole festival dedicated to this beautiful flower. The peony Festival is the number one flower festival in China. It occurs annually in Luoyang in mid-Spring. In addition to many flamboyant displays, the festival features a peony show which attracts thousands of tourists each year. China is a culture of flowers. Blooming plants have played a significant part in Chinese society throughout centuries. Their special symbolism penetrated into people’s lives and cannot be underestimated. Messengers of prosperity, love or purity each and every one of them carries their own significance. To make a gift special for your recipient in China, it’s important to be familiar with local floral symbolism. Whether you’re sending a birthday gift, wedding bouquet or a gift to corporate clients for Chinese New Year, this guide to flower meanings in China will help you! Ready to send a bouquet to China?